The Wellness Center offers a physical health assessment to each new member. New members complete a medical history prior to the assessment to determine if there are conditions present that require attention by a physician. The assessment includes testing in flexibility, upper body strength, hand grip strength, and a body fat analysis. Based on the results of the assessment, an exercise physiologist develops an exercise prescription for the individual. 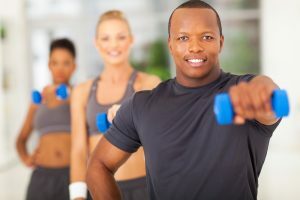 The member then completes an orientation where the exercise physiologist explains frequency, duration, intensity and mode of the exercise program. Full use of our fitness area, strength and weight training equipment. Access to our aquatic area. Group exercise classes (both land and aquatic). Supervised child care services (additional fees apply). Specialized personal training (additional fees apply). Special members-only events and activities and other Wellness Center services. The Wellness Center also offers group exercise classes and services for individuals with special needs, such as seniors, people with osteoporosis, arthritis (land and aquatic classes) and cardiovascular issues. For more information on becoming a part of the South Central Wellness Center family, contact one of our friendly membership staff by calling (601)399.0530. Discounted membership rates are available for seniors, youths, and employees of partnering corporations. Please contact the Wellness Center for details. In an effort to help simplify the paperwork process of joining we have posted the Wellness Center’s membership application along with a questionnaire and agreements that you can download and fill out before your visit to the Center.